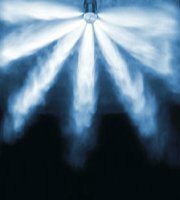 Waterless systems / Clean Agents – Using water to extinguish a fire is not always the ideal choice. While sprinklers can often save buildings, they will also likely permanently damage high-value electronic, computer and IT equipment. For that reason, Titan Power installs and services top quality waterless fire protection systems. When the very early smoke detector senses a fire, the control panel sounds an alarm, shuts down the equipment, and activates the system. This waterless system is made up of a clean agent liquid material stored in pressurized cylinders. The material flows through a piping network to a discharge nozzle where it is deployed as a gas in a fire situation. In ten seconds or less, the protected area reaches a concentration level that will not support combustion.